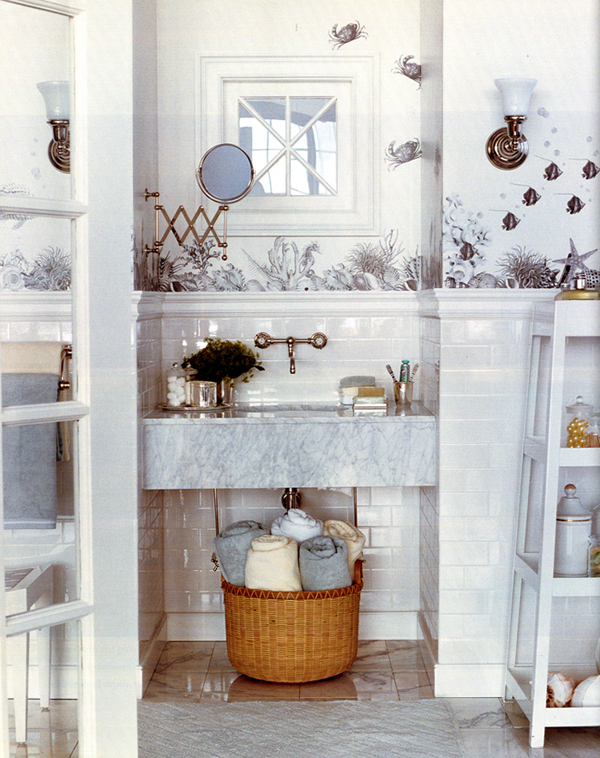 Flipping through back issues of Martha Stewart and found this beautiful seaside-inspired bathroom. 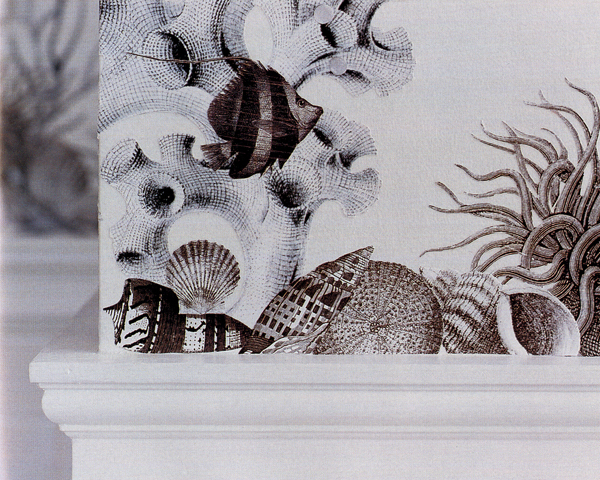 The sealife is actually dÃ©coupaged illustrations taken from a clipart book. The layers of paper give each illustration a great texture. Beautiful.